In April 2016, DaCast announced the ability to provision live channels for Roku TV, Apple TV or any private web TV channels and mobile app. This feature is possible via the generation of an HLS M3U8 media link for any of your live streaming channel. Please note that this feature is available for Premium plans and above. If you are interested in accessing it, please contact us! If you are already familiar with the M3U8 link for your DaCast channel and want to know more about how to stream on Roku TV, please click here instead. 1 Login into your DaCast account. 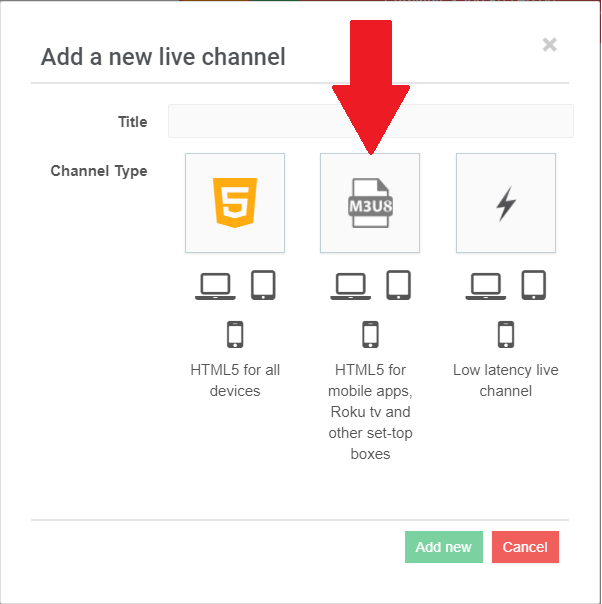 4 Once your live channel is created, click on it and go under the PUBLISH SETTINGS section. By default you cannot create more than 20 live channels (all types) in your account. If you wish to create more than 20 live channels in your account, this is totally possible, you just need to contact us first. Double-check that your live stream is playing correctly, using the preview button in the back office or the share code. 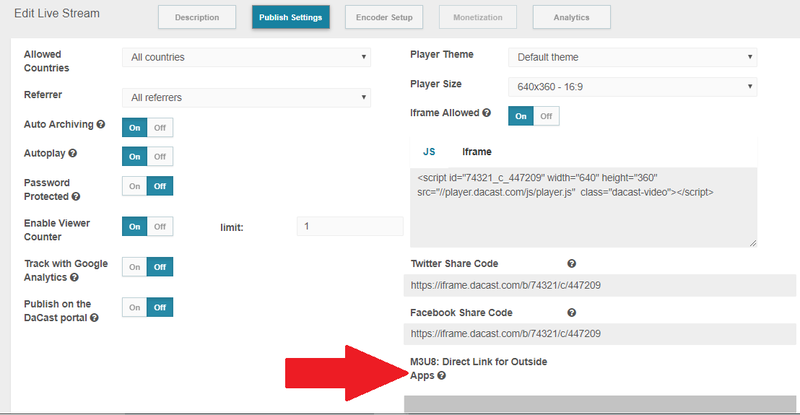 Paste your new link into the field. Your live stream should appear in VLC.